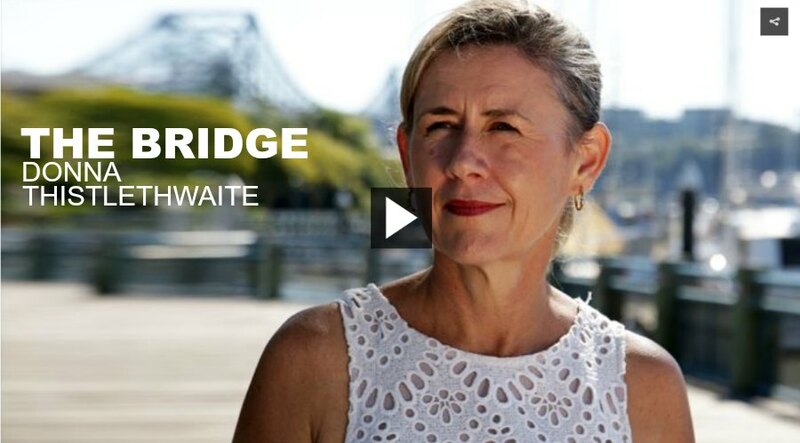 In 2012 Donna jumped from Brisbane’s Story Bridge in an attempt to end her life. Her actions shocked those who knew her and who regarded her as a competent human resource professional and a friendly, enthusiastic person. Donna journeyed from breakdown to receiving an ‘Entrepreneur of the Year Award’ in 2016 and found her purpose in career coaching and speaking. As an entrepreneur and speaker, Donna shares her story to help others. Donna’s story was featured on the ABC’s Australian Story program on 7 August 2017 and can be viewed here. Building resilience: Donna’s story includes proven and practical resilience-building strategies. Creating awareness of mental health risks and inspiring individuals to positively manage their wellbeing. Competitive advantage through stronger, more cohesive and resilient teams who can operate effectively in times of change. It has been established that wellness programs can generate a ROI of 2.3+ for businesses. Poor mental health is a significant risk for organisations, costing the economy $11B per year. 20% of Australians experience a mental health condition each year, 45% in their lifetime. Eight Australians attempt suicide every hour. The impact on mental health on families, the companies that employ these people and the broader community is significant. Donna’s talks raise awareness, inspire the listener and offer effective strategies to reduce the risk of a mental health crisis. They will be profoundly and positively impacted by this talk and will realise that their current and future challenges are surmountable. They will take away effective strategies to build their capacity for work and broader life and reduce the risk of a mental health crisis. An increased normalisation of mental health discussions and a reduction in stigma. If you would like to know more about Donna Thistlethwaite and her keynote presentations click here. Or contact us on 1300 55 64 69 for further details. Do you want to inspire your team, build their resilience or normalise discussion about mental health in your organisation? Donna Thistlethwaite will deliver this and more. She has successfully journeyed from a significant suicide attempt to receiving an ‘Entrepreneur of the Year Award’. Donna is passionate about making sure no-one she meets takes the path she took by building awareness, sharing lessons and equipping your audience with practical resilience strategies.